Product prices and availability are accurate as of 2019-04-11 21:34:16 UTC and are subject to change. Any price and availability information displayed on http://www.amazon.com/ at the time of purchase will apply to the purchase of this product. Like its name our Moab model combines beauty and fun. 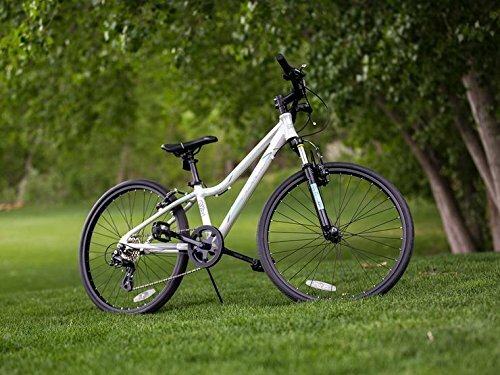 This lightweight aluminum frame, hill friendly 8 speed makes it easy to get up and go. With innovations like Flat Proof Tires, anti-slip chain ring, and sporty geometry, there's no reason to have to stop the fun of riding. 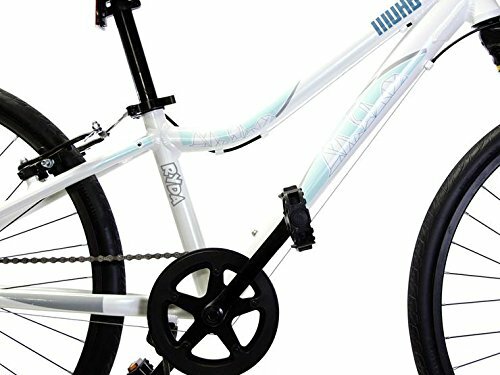 Fully decked out with features like a derailleur guard, padded and adjustable seat your little rider won't want to stop riding the Mother Of All Bikes, or Moab for short. 24" ALUMINUM FRAME that is both durable and lightweight. 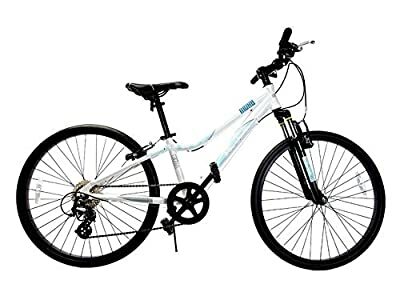 This high quality frame makes transportation and storage a breeze in between use! SHIMMERING HOLOGRAPHIC WHITE FROST COLOR that sparkles in sunlight with a MODERN DESIGN that will certainly catch anyone's attention. TANNUS FLAT PROOF AIRLESS TIRES - These 24 x 1.75 tires are GUARANTEED UP TO 5,000 MILES! Never worry about a flat tire again! 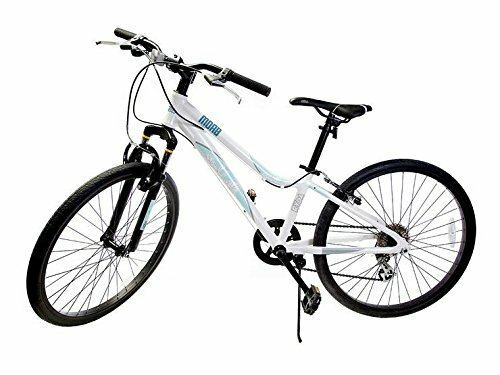 BIKE COMES FULLY LOADED - Front suspension forks, Shimano 8-speed grip shift, Shimano derailleur, chain guard, and derailleur guard. HIGH QUALITY alloy V-brakes with linear pull for SAFE AND EFFECTIVE STOPPING POWER. Bike includes KICKSTAND, ADJUSTABLE CUSHIONED SEAT, AND REFLECTORS.